After a long while we are back writing in english. 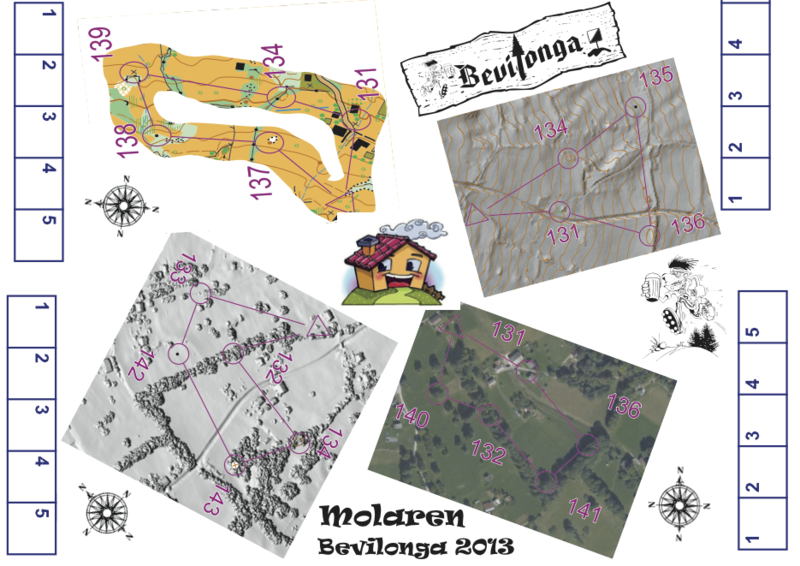 This post is about Bevilonga, the drinking-orienteering race that has been held last Saturday in primiero. We are writing it in English because for the first time bevilonga hosted some top international runners. The competition arena has been moved down to the valley because of the snow, this was quite a problem for the organising committee but thanks to the invaluable help of Marco Bezzi aka “ZP” (the course setter) everything went as expected! The race consist in 4 loops plus a fifth one just for the first 15 runners. 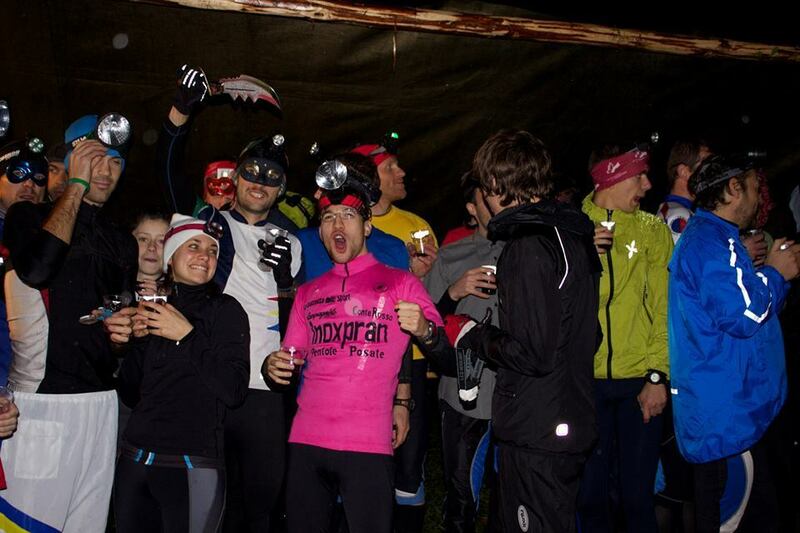 The particularity of this race is the high number of (mandatory) refreshments on the course, about one each 2.3 controls! 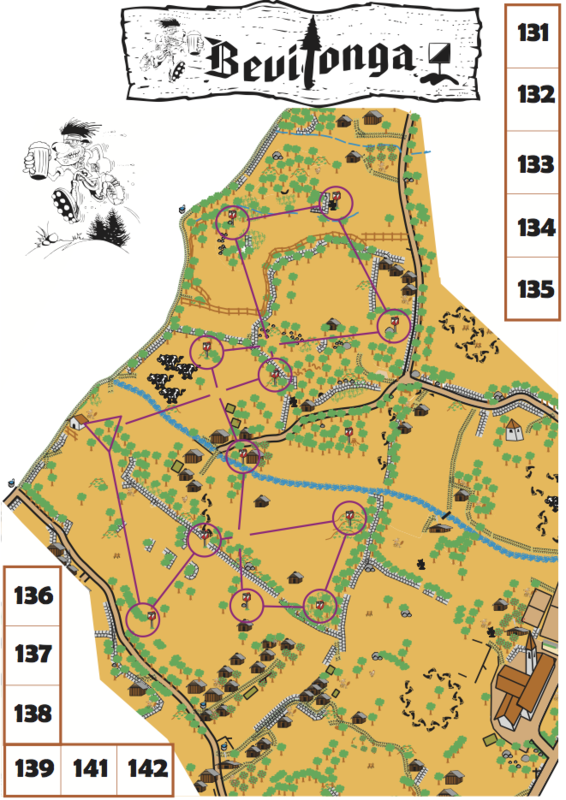 The race started at 6:30 pm and every runner had some problems understanding the map right after the start, everyone except Mate Kerenyi who opened up a gap between him and the others. Zsolt Lenkei secured the second place until the 4th loop when he decided to have an extra loop just for the fun of it! That move allowed Stefano Cristellon, Piero Turra, Giancarlo Simion and Øystein Kvaal Østerbø to catch him up before the last loop. There were a thrilling final battle for the second place and Zsolt won it ahead of Stefano Cristellon aka “the bomb”. It is not entirely clear who came 4th, 5th and 6th but should be the ones listed above in some order. In general we are not completly sure of what appened during the race that’s why we will be more than happy if you tell us something by comment. In the women class Mary Crippa took the victory. Dinner and prize giving ceremony were held at the restaurant. The winners were presented with chocolate money and the famous skodeg-o hat. We hope everyone enjoyed the night and we are looking for meeting you all next year!